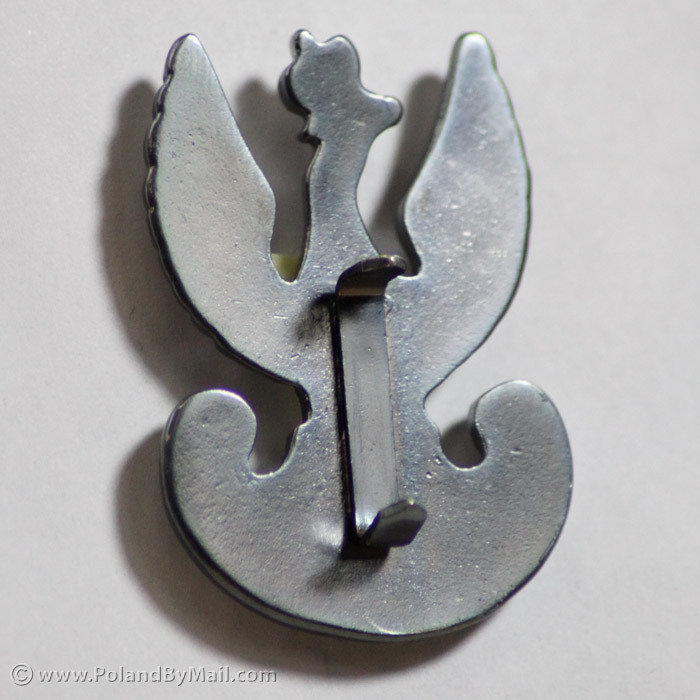 Antique silver plated lapel pin of the original eagle design worn on the caps (rogatywka) of Józef Piłsudski Legions. The fastener style of this pin is Folding Legs for a more permanent fastening. Made of pewter. This Lapel Pin design is also available with a Butterfly Clutch Fastener! Please see our (Item # 850404C).